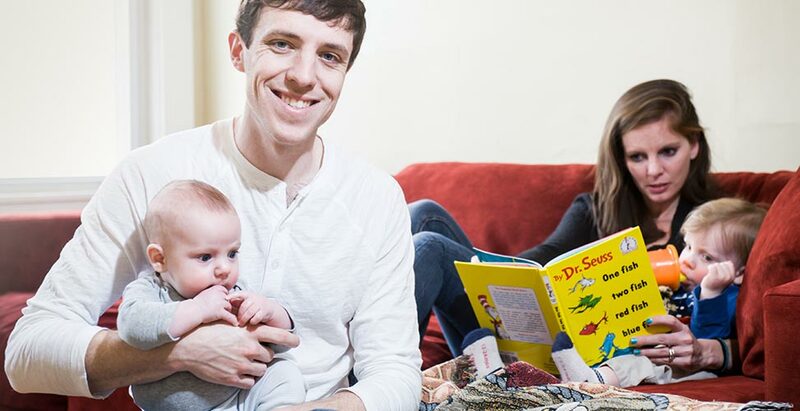 Hi, I’m Matt and I’m the founder of Mom and Dad Money, a fee-only financial planning practice dedicated to helping new parents build happy families by making money simple. Here’s a little bit of my story, why I started this site, who it’s for, and how you can get involved. When my wife and I found out we were pregnant with our first son back in 2011, I ran through pretty much every emotion you can have. Joy. Fear. Excitement. Doubt. Love. Confusion. They were all present, doing their best to twist my insides into a pretzel. And for me, a lot of that angst came out in the form of worrying about money. I felt a huge amount of pressure to make the right financial decisions for my family and a lot of uncertainty about how to do it. How much life insurance did we really need? And what was the best way to get it? What about college? How much should we be saving? And where? And was it more important than other priorities? What about all the day-to-day stuff? How much were diapers, wipes and everything else going to cost? How would that affect our budget? I didn’t know all of the answers, but I did know that I was going to have a child who would depend on my ability to get them right. And that was a little scary. I started Mom and Dad Money because I know what that anxiety feels like and I wanted to help other new parents conquer it. I know the pressure that a new parent feels to get things “right”. I know the stress that comes when everything feels new and unfamiliar. I know the really genuine desire to feel like your family is provided for. I know that money is never the end goal, but that getting the money stuff right is a huge step towards creating a happy, stress-free family environment. More than anything, I want to help you get rid of that anxiety and feel confident that you’re making the right financial decisions for your family. There are plenty of things for you to worry about as a parent. I don’t want money to be one of them. Since starting this site in January of 2013, it’s been my mission to make this a place where new parents can come for good, honest, down-to-earth financial advice specifically tailored to the situation they’re in. Through both my personal experience as a dad and my professional experience as a financial planner working with other parents, I’ve seen and been through much of what you probably have questions about. I’ve learned a lot about what works and what doesn’t. What’s important and what isn’t. And my goal is to make it as easy as possible for you to know exactly WHAT you should be doing, HOW to do it, and what to AVOID so that you can get rid of the anxiety, make good decisions, and get on with your life. 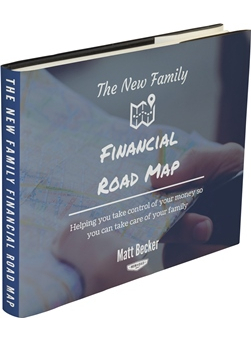 Get the Road Map – Sign up below and get instant access to my free ebook, The New Family Financial Road Map. This is the resource I wish I had when I was starting my family. Learn which financial responsibilities matter most as you start your family. How to prioritize them in the most effective way possible. All drawn from my personal experience as a new dad and my professional experience as a fee-only financial planner. Make a plan – If you’re interested in a little more personalized advice, I offer 1-on-1 financial planning services where I help you create and implement a plan that’s customized to your specific goals. Click here to find out more about these services. Thank you for taking the time to stop by and stay a little while. If you’d ever like to reach out to me directly, you can do so here at any time. I’d love to hear from you. In the meantime, best of luck to you and your family! See you again soon!